Our Plush Couch Slipcover Is Durable, Not Fade And Allergic, Protect Your Sofa Away From The Dust And Pets Hair, Provide Your Furniture A New Vision And Meet Your Home Decoration needs. If The Width Of Sofa Is Less Than 60 Cm,Please Purchase Width 70 Cm series. If The Width Of Sofa Is Less Than 75 Cm,Please Purchase Width 90 Cm series. If The Width Of Sofa Is Less Than 90 Cm,Please Purchase Width 110 Cm series. 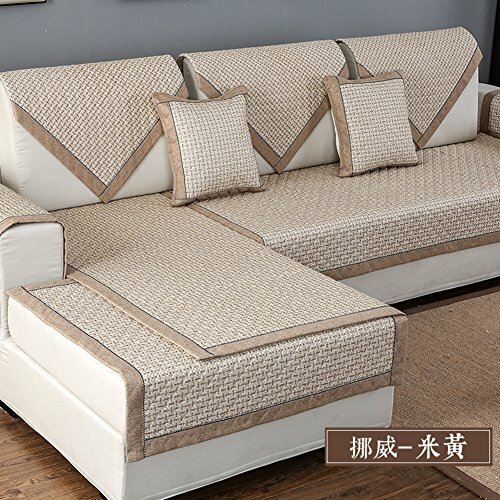 It Is Recommended To Choose Larger Size, The Excess Part Of The Sofa Cover Can Be Inserted Into The Gap,Make The Slipcovers Not Easy To Fall Of. Sofa Protector,The Couch Covers Is Durable Dust Proof And Stain Resistant,Protect Your Sofa From Pets, Children And insects. Dense Quilted And Tightly Wrapped,Can Be Machine Washable And Not Pilling And deformed. If you have any questions about this product by Foxi, contact us by completing and submitting the form below. If you are looking for a specif part number, please include it with your message.